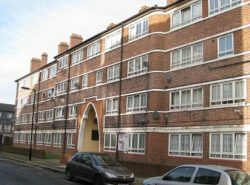 The JMB is responsible for undertaking major works as well as routine repairs to its properties. All our properties meet the government’s Decent Homes standard. We have undertaken a stock condition survey of our properties and have a planned works programme up until 2028. Follow this link for the full programme. In 2016/17 we will be renewing the district heating system on the Meakin Estate and also putting in new main storage water tanks on the low rise blocks of the Kipling Estate. In 2017/18 works to renew mains water pipes and bathrooms at Simla House and Burwash House are planned. We also intend to carryout further Fire Assessment works across a number of estates.